Despite a government guarantee of EUR150 million, Air Berlin (AB, Berlin Tegel) may soon find itself having to cancel flights, according to German newspaper Suddeutsche Zeitung. Citing insider information, the news site says that Air Berlin will be unable to maintain parts of its network as it does not have access to revenue generated by ticket sales. With that revenue in escrow, the troubled carrier is unable to pay suppliers and airports which are asking for upfront payment. The airline is currently undergoing restructuring in German bankruptcy courts, following the decision by its largest shareholder, Etihad Airways (EY, Abu Dhabi Int’l), to stop funding its operations. 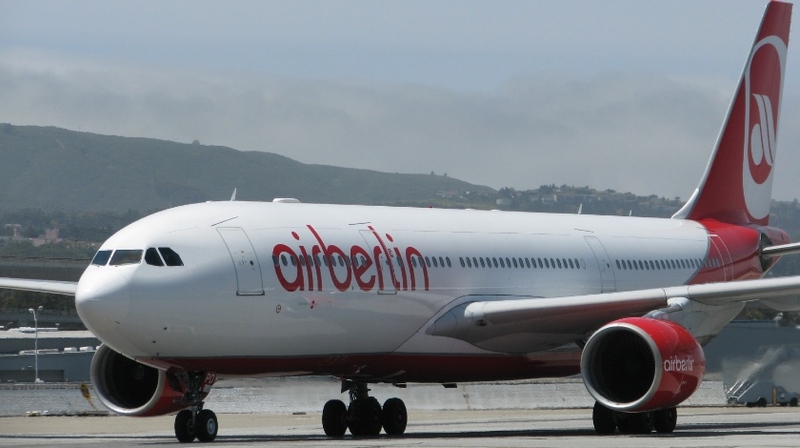 Air Berlin’s Austrian subsidiary Niki (HG, Vienna) is expected to be sold to Air Berlin rival Lufthansa (LH, Frankfurt Int’l), which is also interested in picking up LGW – Luftfahrtgesellschaft Walter (HE, Dortmund), or alternatively to easyJet (U2, London Luton) or Condor (DE, Frankfurt Int’l). easyJet (U2, London Luton) in particular is eyeing Dusseldorf slots according to the report. Chief executive of Ryanair (FR, Dublin Int’l), Michael O’Leary, has also thrown his hat in the ring to buy the German carrier. While it maintains normal operations, Air Berlin is currently still serving fifty-four destinations across twenty-two countries with its mixed fleet of 114 aircraft.